Subtitled 'the emergence of video games in America', Michael Newman's book aims to examine the impact of 'early video games' on culture and society. It does so to an extent, but despite covering a really interesting subject, it could have been better written. There’s a certain type of academic writing that takes pages to say something relatively simple. Here, Newman takes around 30 of them to tell us that pinball machines were considered dubious and working class, while video games were considered neater and middle class. Strangely, it is the section on pinball machines as a precursor to the electronic gaming industry that provides the most interesting content, as we never got this 1970s resurgence in the UK. Apparently, in the US, the exposure of pinball in the Who’s Tommy, plus the introduction of more sophisticated electronic effects saw a brief pinball renaissance in the second half of the 70s, while in the UK, the games never got past that feeling of being something (wonderful if, like me, you loved them) from an earlier age. Newman spends a lot of time on the transition in arcades to electronic machines, and then on the introduction of video games into the home, initially as extensions of the TV viewing experience, then as limited copies of the arcade games and finally blossoming as home computers - even if no one was quite sure how they would be used... other than to play games. There are definitely some interesting observations here. About the way, for example, that initially video games were portrayed as being far better than the mind-numbing, non-interactive experience of watching TV (perhaps this says something about the quality of the TV pumped out by US networks the 1960s). We are repeatedly exposed to the idea that despite original sales pitches being family oriented, there was a shift to the young male perspective that would come to dominate the way that gaming was portrayed. This gives Newman the opportunity to single out Pacman as being something standout (probably more so than it actually was), noting that the game had far less gender bias in its users than most of its competitors. 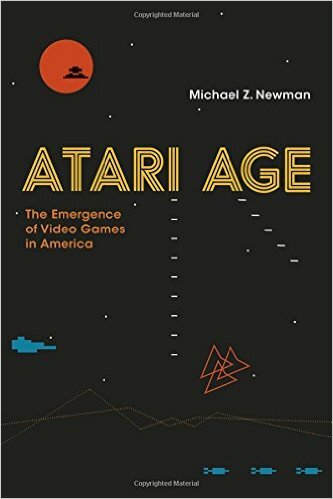 To be fair to the author, he makes it clear that he is not trying to provide a history of video games themselves, but even so the approach taken combines piling in far too much evidence on small details for a popular account (never describing one ad campaign, when we can hear about five, for example) with a glacially slow construction of the arguments. The result is a rather frustrating take on a topic that should have been electrifying.